Ranger Design is excited to announce that we have worked with Mercedes Benz to create a new line of van shelving systems, partitions and ladder racks to upfit the brand new 2016 Metris. We will have a full line of trade packages for contractors, mobile service technicians, electricians, HVAC services, and delivery services. In conjunction with Mercedes, we unveiled these new products at the 2015 NTEA Work Truck Show in Indianapolis. 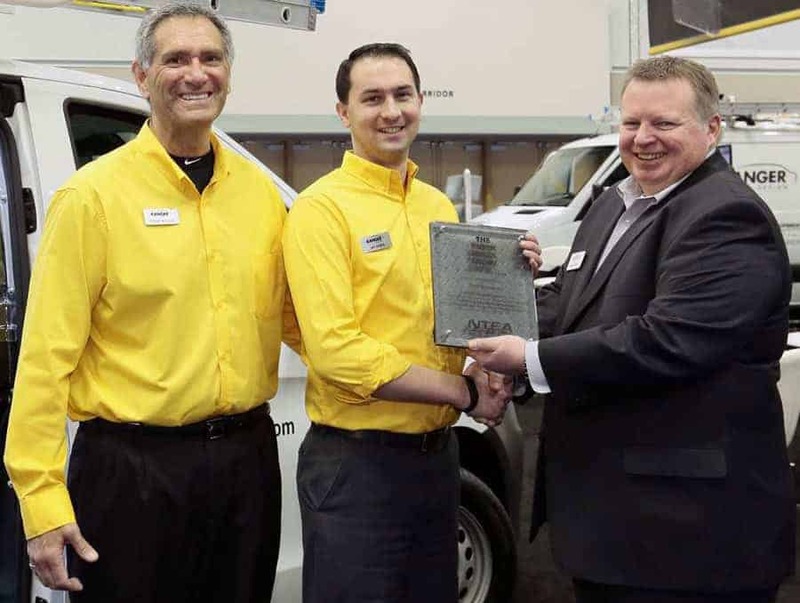 Hard Working Trucks covered us in an article, “Ranger Design Offers New Storage Solutions For Metris” that you can read here. INDIANAPOLIS, Ind. — Mercedes-Benz took the wraps off its new mid-sized commercial van dubbed Metris. We’ve known about it for a few months, and now we finally have details on the 2016 Mercedes-Benz Metris midsize van. 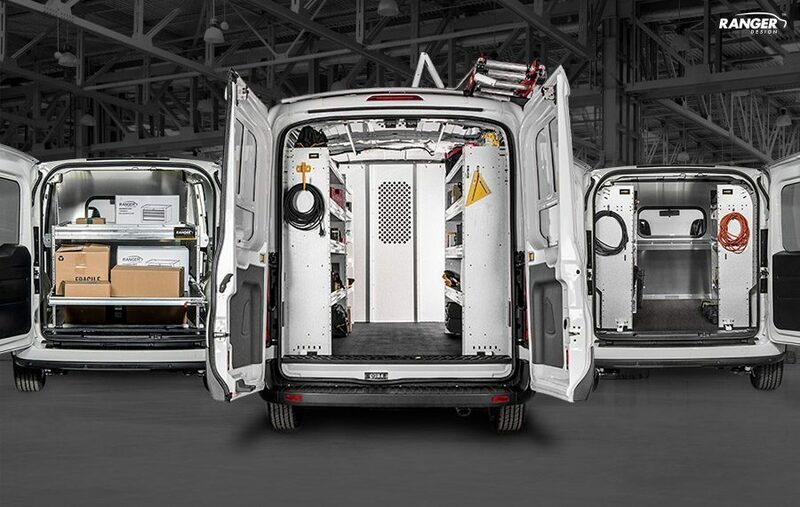 Smaller and lighter duty than the commercial-sized Sprinter, the Metris is designed to fill the needs of businesses that don’t need something as large as a Sprinter, ProMaster, or Transit but need or want something larger than a NV200, Transit Connect, or ProMaster City. In a comparison with those models, the Metris has a 73 percent higher payload rating than the NV200 and 50 percent more cargo volume. 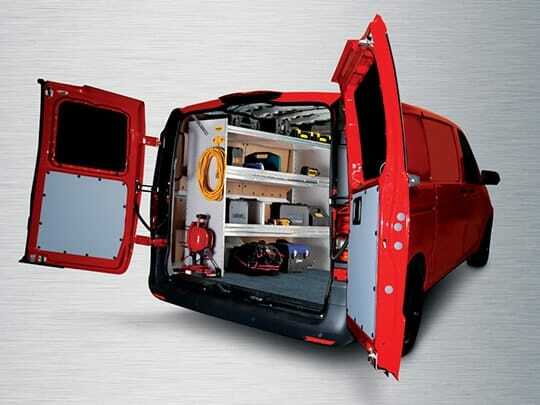 Compared to the Ford Transit Connect, the Metris has a 54 percent higher payload capacity and 45 percent larger cargo volume. The rear-wheel-drive Metris will be offered initially only with Mercedes’ 2.0L GDI turbocharged I-4 producing 208 hp and 258 lb-ft, mated exclusively to a seven-speed automatic transmission in North America. The Metris, sold in Europe and other Markets as the Vito, is usually equipped with Mercedes’ 2.1L turbodiesel I-4 engine. The diesel, versions of which are already offered in the larger Sprinter as well as the E250 and GLK250 Bluetec models, may be offered as an option at a later date, but no mention was made in the debut announcement. Both passenger and cargo versions will be offered, with surprisingly affordable (for a Mercedes) starting prices of $29,945 for the cargo version and $33,495 for the passenger version. This gives the cargo van the distinction of being Mercedes’ lowest-priced model in the U.S. Obviously, being a Mercedes, safety features get top billing, with the cargo version getting six airbags, and the passenger version getting eight, along with standard attention assist, crosswind assist, and load-adaptive stability control. Optional safety and convenience features include parking assist, lane keeping assist, blind spot monitoring, and a rearview camera. Mercedes also notes the addition of larger cupholders to better meet the preferences of North American customers. The Metris will go on sale at more than 200 Mercedes-Benz commercial dealerships in October.